Rutherford, NJ, August 6, 2009: One hundred years ago, in 1909, William Carlos Williams put Rutherford on the literary map with his self-published first book of poems. This year, the Red Wheelbarrow Poets, founded by the William Carlos Williams Poetry Cooperative of Southern Bergen County, start the second century of that ongoing tradition with the release of the new issue of their literary journal, The Rutherford Red Wheelbarrow, featuring poetry and prose from dozens of area writers, previously unpublished and rare work from Williams, and an excerpt from a memoir about life in Haiti during the turbulent days of the Duvalier regime. The Red Wheelbarrow Poets, celebrating Rutherford as a nexus of poetic energy, will release The Rutherford Red Wheelbarrow #2 on Wednesday, September 9 at a 7 PM reading in the Williams Center for the Arts, One Williams Plaza, Rutherford, NJ. The yearly anthology will be sold at the reading and can be ordered online at lulu.com beginning Sept. 9. It will also be available at the annual Williams Symposium to be held in October at the Williams Center. The Rutherford Red Wheelbarrow 2 joins the first edition, which was released last fall, in unveiling another unpublished poem by Williams. 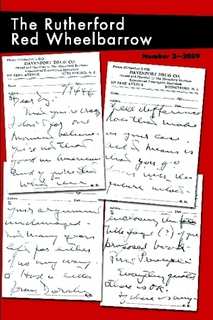 It contains letters from Williams to his mother and his poet friend Ezra Pound, and the transcript of Williams’ 1955 Voice of America broadcast about his home town. Among the thought-provoking essays in the prose section is “Willie Williams’ Rutherford” by Borough Historian Rod Leith, encapsulating the popular bus tours the gives of local sites associated with the poet. Red Wheelbarrow poets in the journal include John Barrale, Céline Beaulieu, Sondra Singer Beaulieu, Marian Calabro, George DeGregorio, Mark Fogarty, Elissa Gordon, Gail King, Jim Klein, Janet Kolstein, Deborah Schantz, Zorida Mohammed, and Claudia Serea. 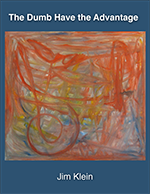 Area poets contributing include Roxanne Hoffman, Pamela Hughes, Joel Lewis, Brant Lyon, Paul Nash, Michael O’Brien, George Pereny, Matthew Rohrer, Dan Saxon, Ed Smith, Rosemarie Sprouls, John J. Trause, and Bill Zavatzky. Community writers published include Laura Creste, Fred Duignan, Gladys Eckardt, David Eisenberg, Haya Elkadi, Jane Fisher, Tony Fradkin, John Lee Garland, David Gerry, Merit Gorgy, Melanie Klein, Loren Kleinman, Kathy Kuenzle, Denise LaNeve, Eugenia Macer-Story, Gene Myers, Susan Rappaport, Jose A. Rodriguez, Krzysztof Sadowski, Roger Sedarat, Shannon Thomas, and B.J. Ward. In addition to the poetry, the journal has a prose collection that includes an essay on poetry and madness by editor Jim Klein, an essay on writing by Rutherford native Kathy Kuenzle, a review of two poetry anthologies by managing editor Mark Fogarty, and an excerpt from a forthcoming memoir by managing editor Sondra Singer Beaulieu about her turbulent years in Haiti as a journalist. Beaulieu is this year’s featured writer. Published by White Chickens Press, The Rutherford Red Wheelbarrow showcases the workshop poets who have been meeting weekly for over two years at the Rutherford Public Library. It also contains a generous selection of work by many other poets involved in the ongoing Rutherford literary revival. This includes those who have been featured or open readers at the Second Wednesday series at the Williams Center, sponsored by the William Carlos Williams Poetry Cooperative, the student poets who have also held workshops at the library, and other writers who have been attracted by the vortex created by all the great energy surrounding each of the poetry projects. The Rutherford Red Wheelbarrow #2 is available at lulu.com and amazon.com. Ebook available here.